The Everhard Circo 23 litre multi-purpose sink will certainly add a touch of style and practicality to your kitchen. The bold looks of this top mount sink make it versatile enough to be installed in other areas of your home as well. The Circo 23 litre multi-purpose sink can be installed in any benchtop. Whether you need a bar sink, a laundry sink or a kitchen sink, the Circo 23 litre multi-purpose sink will serve you well. This modern sink will perfectly complement the looks of any space. 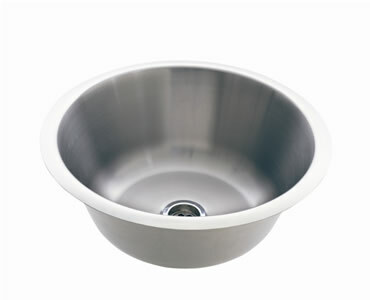 Made out of stainless steel, it features a large round bowl that measures 470x180mm. It is also equipped with a 50mm basket plug and waste. 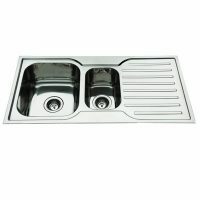 This sink exhibits the highest standards of quality and has been manufactured using top 304 grade stainless steel. Therefore, you can trust it to withstand many years of heavy usage. As a measure of quality, Everhard backs this product with an impressive 25 year guarantee. 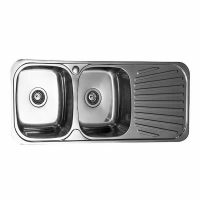 The Everhard Circo 23 litre multi-purpose sink is ideal for your kitchen or laundry. Buy it online today from Ross’s Discount Home Centre at the lowest possible price.